We're going above and beyond to try to do what's right. My dad always says, 'Be the white hat guy' and err on the side of 'the customer is right.' It's the general philosophy here. It always has been. 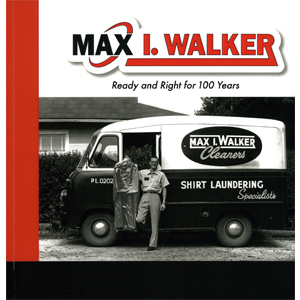 A century in business isn’t the sort of feat that comes along every day, especially in a competitive industry like dry cleaning, and so in 2017 the leaders of Max I. Walker decided to honor that achievement by publishing a book about the company’s history. When you read closely, you’ll understand just how impressive 100 years in business really is. Mobs. Lynchings. Political corruption. Omaha had it all back in 1917 when Max I. Walker, a proud Scot from Missouri, absorbed a friend’s dry cleaning business as a means of settling a debt the friend couldn't make good on. 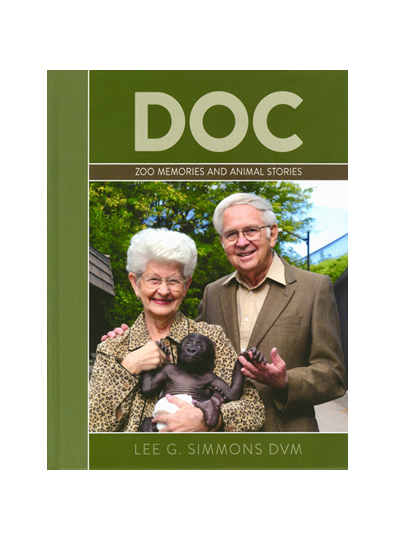 Little did Walker know, but he was charting an entirely new course for the rest of his life. Now in their fourth and fifth generation of family leadership, the Walkers have survived the Great Depression, World Wars I and II, suburban migration, economic fluctuations. Even polyester. How has it all been possible? In addition to leading the industry in the actual cleaning of clothes, the company has maintained the agility and adaptability that its founder was known for a century before. Today, Max I. Walker uses cutting-edge technology to stay relevant with a new generation of customers while also relying on good, old-fashioned touches such as remembering a customer’s name and offering impeccable customer service. Here’s to Max I. Walker, the company that has been getting it ready and right for 100 years. Throughout the 1960s, Max I. continued his involvement in the company while Robert Sr. ran operations. They made for an interesting team of sometimes seemingly opposites, according to family and employees. Indeed, one of the few traits that everyone agrees they shared was their penchant for dressing as well as their best-dressed customers. In 1968, the company installed its first drive-thru at the Council Bluffs store on West Broadway. The Walkers even ventured into enemy territory, setting up four laundromats, according to Lovely. In 1971, Robert Jr. established the full-service Walker Drapery Center at 22nd and St. Marys Ave. Walker employees would remove the drapery from the home or business, take it for cleaning and return and even rehang it. In a time long before it was politically correct to do so, the company founder was green-friendly. “He was a good Scotsman,” Rob Walker said. They lived in the age when professional men wore suits and ties. They both wore custom-fit suits, shirts and dress pants. And they both wore ties and expected their staffers to do the same. Of course, they were both driven entrepreneurs. Both strove for and demanded the highest standards. Both were tough when challenged. But Max I., with his slight frame and easy manner, was considered the gentler spirit of the two. And he was famously frugal. “You would wait one half hour from when Max. I came in before he made it to the top” of the stairs, said longtime office employee Bridget Trout. “He was like a little doll. He walked like he was waltzing. I’ll never forget that. Although he traveled more in his later years, Max. 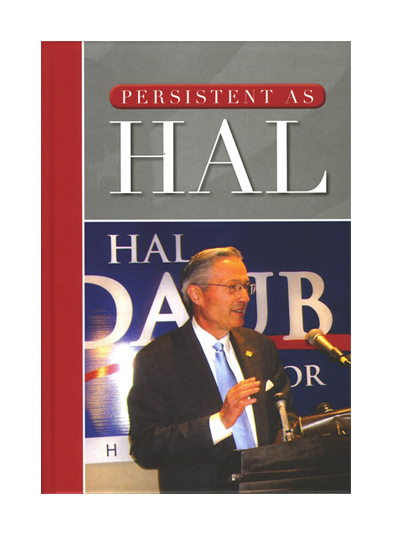 I continued coming into the office in the 1960s and even into the 1970s as he reached his 90s. Even at an advanced age, he refused to be stopped by barriers such as the long stairs leading to the company offices above the plant in Dundee—a converted old fire station that had been one of construction magnate Peter Kiewit’s first jobs. 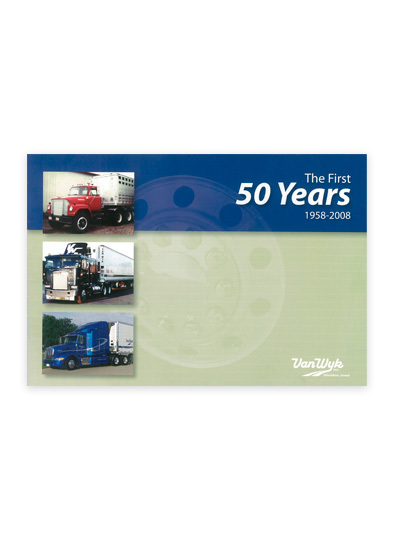 The First 50 Years: 1958-2008 Van Wyk, Inc.